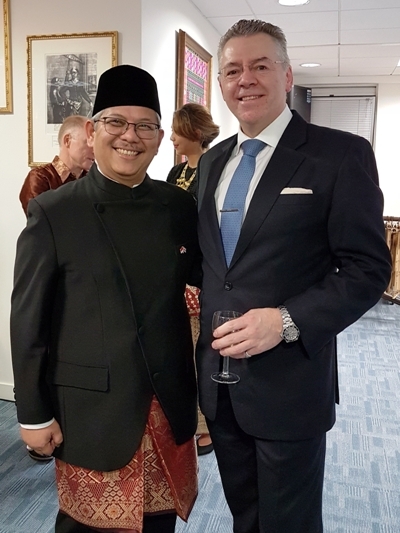 David Stringer-Lamarre, MD of FortisCL was pleased to attend the Indonesia National Day celebrations at the Embassy of Indonesia in London. There was a moment of silence for those who lost their lives in the recent Sulawesi earthquake and tsunami. The Ambassador of Indonesia, His Excellency Dr Rizal Sukma welcomed the many guests, spoke about Indonesia and provided an update on the relationship between Indonesia and the UK. ← City Women Speakers; Toastmasters International.